There’s no doubt that starting and running a your own business is tough. Like really tough. In fact, it’s probably one of the hardest things you can choose to do, and in the thick of it, it can be really difficult to remember any good reasons to run your own business. I recently came across this article which beautifully describes all the unexpected and ugly challenges of being in business – and it’s not pretty! And while I agree 100% with each point, I think it’s a bit like explaining what it’s like to have children to someone who is not a parent. There’s a whole lot of inconveniences and negative things that change your life seemingly for the worse. But anyone that has children also knows that the sleepless nights, dirty nappies, and endless washing are not the full story. Despite all the complaining business owner do, there are very few entrepreneurs that actually decide to go and work for someone else after having experienced running their own show. Of course, this doesn’t happen every day, but when it does, it’s amazing. Think about it… You created something or performed some service that just made a huge difference in this person’s life! Do that enough and it’s extremely motivating! Yes, they might have had alternatives, but they preferred your solution and chose your business and at the end of the day, you put a smile on someone’s face! Running your own business means that you get to make a lot of the decisions which will end up determining whether or not your customers are happy. If they’re not, you get to change things. And if you’ve gotten out of touch with your customers, I suggest you change that and go and speak to some because this can be a huge source of inspiration and motivation. Look around at all the people involved in building your business. They might not be employees but even if you’re using contractors on a part-time basis, you’re still contributing enormously to the lives of these people. By helping these people earn a living, you are paying for the schooling for their kids, a family holiday, a roof over their heads, or maybe even just providing the means to let them enjoy a night out with friends. You may not have thought about it but your contribution towards all that is adding a great deal to their lives. And of course, that holds true whether these people are in the office working alongside you or in a distant country working remotely. Of course, they’re the ones providing the labour and/or skills, but as the entrepreneur, you’re the person who has figured out how to turn their time and/or skills into something that they can earn a living from. If that’s not one of the best reasons to run your own business, I’m not sure what is! And of course, if you have a team, you might be adding a whole lot more than just a pay check. These people are probably learning new things, expanding the mental image they had of themselves, building their networks – and all because of your business. 3) You’re in the Best Self Development Course ever! Ever complained that all you do is solve problems? Well, consider that a privilege! By solving problems all day, you’re continuously stretching yourself and expanding what you as a person can contribute. Whether you’re training someone else in specific tasks, developing new processes to cope with changes or growth, or figuring out how best to pitch to your next client, it’s likely that you’ve never done exactly that thing before. It’s challenging, highly creative, and very diverse in nature. Which means you’re growing! When you’re continuously improving and/or growing your business, it’s constantly begging you to rise to the next opportunity or problem. Whether that’s something like recruiting people that are smarter or more skilled than you, having tough discussions and letting someone go, figuring out the branding for your business, facing a personal fear (eg public speaking or running webinars), or maybe deciding that your business needs to pivot and change directions. All of these things demand that you rise to a new level of competence – and there’s no real handbook in how to do it! So you talk to people, read a lot and figure it out yourself – and as the years go by, you’ll find that you’ve just had the best education and development course you could ever imagine. Yes, business owners tend to work incredible numbers of hours. But the worst thing is that most of us never reach a point where we think we can go part-time or take the foot off the accelerator. It’s definitely not impossible, but it usually doesn’t happen that way. However, one thing to remember is that a lot of those hours are actually quite enjoyable, and that’s part of the trade-off. The other part is that business owners usually have a LOT more flexibility when it comes to their time. So, you can decide if you want to stay open over the Christmas period or close, or whether you want to be home for family dinner but then switch on again in the evenings, and you can schedule things so that you can get to your daughter’s school concert for the odd Wednesday morning. It may not always be easy to do these things but you don’t have to ask permission and be at the whim of someone else determining when you need to work or not. Which is another one of the great reasons to run your own business. As an employee, your only option to increase your earning capacity is usually to work more hours and/or convince your boss that you deserve a higher rate of pay. And in either case, you still need to work for every single dollar that you earn. When you have your own business, you get the opportunity to try to structure things so that your actual work input is not related to the revenue your business earns. You can do this by having the right team of people, the right systems, the right pricing structures, the right product-market fit … but ultimately your actual hours are not what earns you money. People say “work smarter not harder” all the time, but the only place that it really matters, is when you have your own business and can make this work for you. This is not necessarily about getting super wealthy, but it is about giving you options and freeing you up to do other things. At the end of the day, we all want to have an impact and do something that makes a difference. It doesn’t need to be something huge or saving peoples lives, but something that leaves the world a little better because of our contribution. Yes, you can do this working for someone else, but having your own business allows you to build something that is totally unique to you. Something that expresses the way you think businesses should run. And something that you can hopefully feel proud of. Creating something like this can give you a great sense of purpose. It may not last forever and it need not be rocket science, but if you can feel that you’ve made a difference in someway, you’ll likely get a lot of satisfaction from that. What do you think about these reasons to run your own business? Do these resonate or is it something different for you? 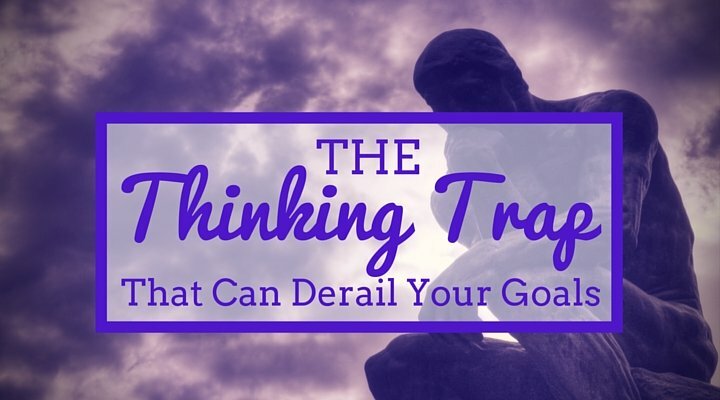 The Thinking Trap that Can Derail Your Goals How to Stop Hating Your Business The Dangers of Thinking too Small Why haven’t you started your business yet?